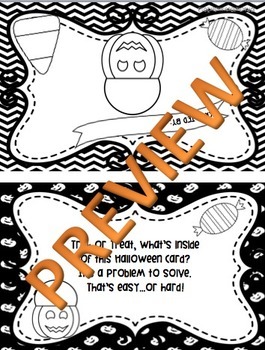 Students will make a Halloween Card with a math word problem focus, writing a Halloween-themed word problem inside the card to share with another student in the room. 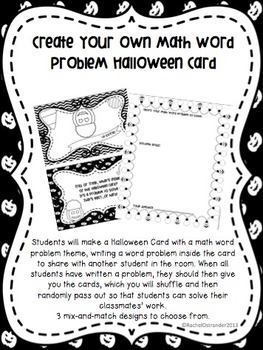 When all students have written a problem, they should then give you the cards, which you will shuffle and then randomly pass out so that students can solve their classmates’ work. 3 mix-and-match designs to choose from. 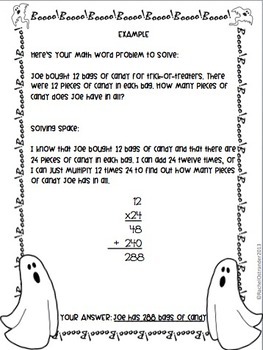 A great way to celebrate Halloween and keep it educational!